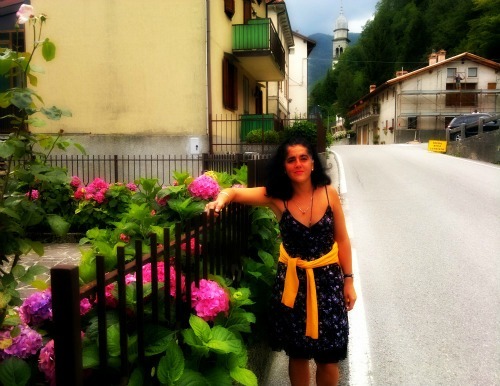 These two villages near Asiago have special significance for our family. My late father was born and grew up in Posina before moving down to Arsiero and then finally to Piovene Rocchette. There's a map at the bottom of the page if you aren't sure where they are. Arsiero is a bigger village than Posina and it is a lovely little place to spend a few days. If you would like to stay longer this is an ideal base to explore the nearby little villages and mountains. You shouldn’t come here looking for architectural marvels – you won’t find them. 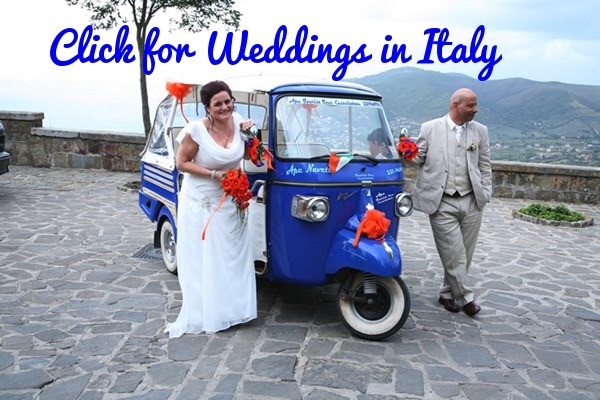 You will find some of the friendliest people on this planet, and a fairly well preserved town with a few pretty churches dating back to the 15th century. There is a vast selection of things to do for those who love hiking, mountain biking or climbing and the local cuisine consists of some of the tastiest, most wholesome food you can find anywhere. My mother fattened my husband Andrew up considerably with this type of cooking. A good place to stay is the Irma Hotel & Restaurant - See our Restaurant guide for details - The Irma is around a mile outside of Arsiero. A little tiny village about twenty minutes from Arsiero by car, Posina is a sheer delight. Here is a place where you can breath clean fresh air and escape from the stresses and strains of the modern world. The setting is very special. Green forests, snow-capped mountains and crystal clear streams abound. Posina suffered badly during the war and afterwards it was terribly poor. Many people were forced to emigrate to survive. There is a statue (see photo to the right) recalling all those who left for Argentina, the USA and elsewhere. My dad often rembered those times when many had nothing to eat and it is wonderful to see the town now as a prosperous place. Spend a few days in complete peace and tranquility; with nothing to do but eat, sleep and walk some of the excellent mountain trails around these parts – I guarantee you will return home feeling renewed and rejuvenated. If you want to buy the great local cheese, similar to Asiago, and the famous local salumi called the sorpressa then visit the Caseificio di Posina in Via Macello or the La Botteghetta. You can’t miss either of them as there are only five streets in Posina. 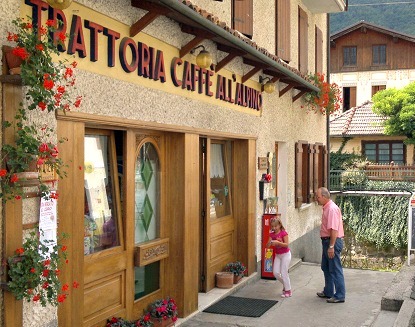 The Trattoria All’Alpino in Via Sareo (see second photo on this page) is the only place to stay, you can phone them on (+39) 0445748019. Their restaurant is the perfect place to sample the local mountain cuisine. Particularly good are their gnocchi starters and the main courses involving deer and pheasant. They give you massive portions and all of it is grown or caught on the hills here and here about.